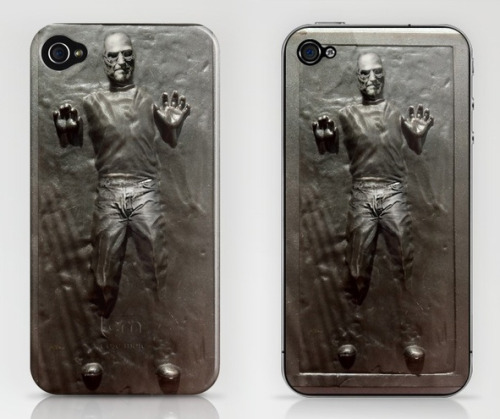 True Apple fans will find this Steve Jobs frozen like Han Solo in carbonite case available for the iPhone 4 and iPhone 3G/S to be a must have geeky case. This slim back snap-on case will run you $35 while you can secure yourself with just a simple back skin for your iPhone 4, iPhone 3G/S and all of the iPod Touch gens for $15 a pop. Get them while they're hot because Apple will most likely send these folks the cease and desist.